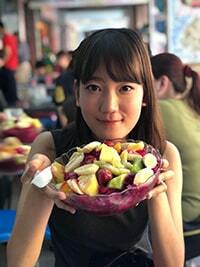 I'm Mizuki from Japan who lives in Tiwan which is located south east Asia. I've got married with Taiwanese and living here for a year already. Since I had lived in the United States for a year, I am able to communicate in English as well. -->><SPECIAL LESSON> Beginners Only, use English to learn Japanese!